Colleen McRoberts will serve as the City of Albuquerque’s first woman Open Space Superintendent. Pictured here, McRoberts is recreating an iconic photo of the City’s first Open Space Superintendent, Rex Funk, who was often found riding horseback through the foothills open space properties. Mayor Tim Keller welcomed Colleen McRoberts today as the City of Albuquerque’s first woman to serve as the Open Space Superintendent. McRoberts brings extensive experience to lead the Open Space Division within the City’s Parks and Recreation Department. The City of Albuquerque maintains more than 29,000 acres of major public open space. During the past 18 years, Colleen McRoberts has served communities throughout the country and the world in conservation education and natural resource management for not-for-profit and government agencies. Her passion is community development and connecting people of all ages and backgrounds to nature. Colleen received a Bachelor of Science from the Department of Education at the University of New Mexico in 1999 and a Master’s degree in Environmental Education through UNM’s Master’s International Program. She served as a U.S. Peace Corps Volunteer for three years in the Republic of Philippines. Following the Peace Corps, Colleen worked as a research assistant for the World Wildlife Fund and then as the Growing Native Program Director at Potomac Conservancy in the Washington, D.C. area. Most recently, Mrs. McRoberts served as the Open Space Coordinator for Bernalillo County for more than 10 years. During her tenure, she developed an award winning Open Space Program from the ground up through community and partnership support. She launched the first Master Naturalist program in New Mexico, developed annual public events and programs, managed outreach opportunities for youth, oversaw natural resource projects, and created interpretive materials. She also served as a spokeswoman for Open Space, helping to secure a 15-year mill levy. 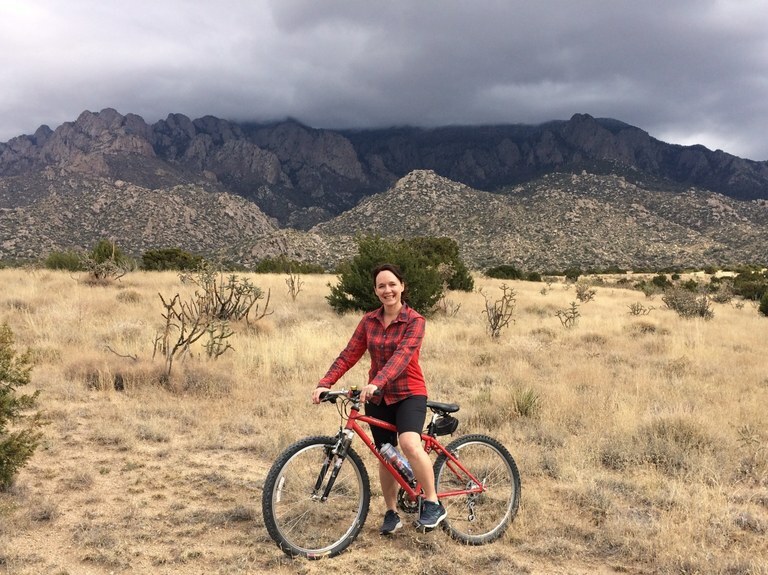 Since her teen years, she has been hiking and mountain biking at Open Space properties, where she finds profound solace, joy, and wonderment.